Brno, May 12 (BD) – This is the 8th year of the project of the nonprofit organisation Bezpečně na silnicích o.p.s. (Safe on the roads), whose main partner is Mountain Service of the Czech Republic, o.p.s. “Cyclists undoubtedly belong to the most vulnerable group of road users. […] Our activities dedicated to cyclists therefore focus on the general prevention of injuries connected to cycling,” say the organisers. In 2017, 44 cyclists died in traffic accidents, another 353 were seriously injured, and another 2,945 were lightly injured. 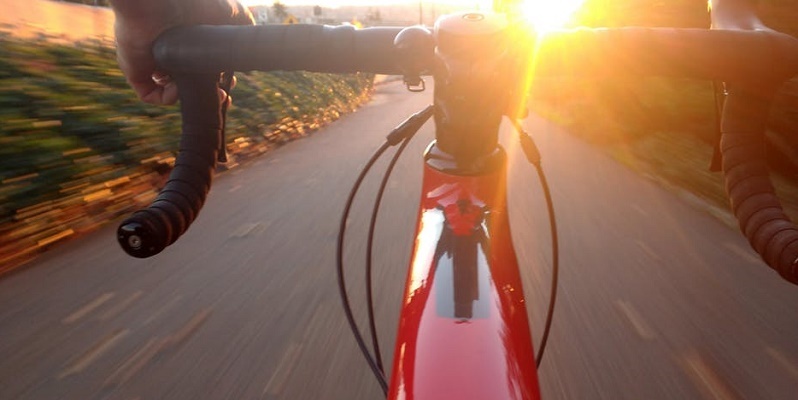 Cyclists can suffer injuries not only on the road but also when riding their bikes in nature. “Every year, we attend to hundreds of cyclists who have been injured. Last year we responded to 642 cyclist accidents […] Unfortunately, 3 lost their lives,” says Jiří Brožek, Executive Director of Mountain Service. The ‘On a bike with a helmet’ campaign traditionally focuses on mountainous areas. Bikers in the Jizerské, Krušné, Krkonoše, Beskydy, Šumava, and Orlické Mountains, as well as in South Moravia’s Lednice–Valtice cultural-natural landscape complex, may come across the special stands of ‘bike guardians’ (cyklohlídky). It will also be possible to encounter the project in dozens of cities throughout the Czech Republic, such as Liberec, Brno, Ústí nad Labem, České Budějovice, Karlovy Vary, Zlín, Olomouc and Jihlava. The goal of the project is to help reduce the number of injuries to cyclists, especially those with serious health consequences. “Our co-workers will explain the criteria of how to safely move on a bicycle, and not only on the road. You will learn a lot of interesting information and we will be happy to answer your questions,” reads the official website of the project describing the tasks of the ‘cyklohlídky’. Find out about the activities and events of ‘On a bike with a helmet’ and their locations on the official website: http://nakolejensprilbou.cz/novinky/2.